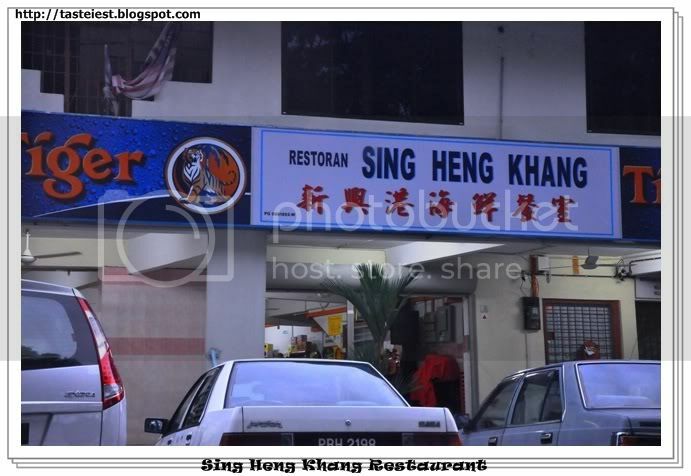 Turning round and round in Parit Buntar for hour without finding a good place for our dinner, took out GPS and look for any nearest food POI and we found Sing Heng Khang Restaurant. Honestly, without GPS you won’t be able to find this place as it hidden in some corner and small road turning in. Well, we settle down in Sing Heng Khang Restaurant and this restaurant is actually very spaces and they did catering for wedding dinner as well but without air-conditioning. 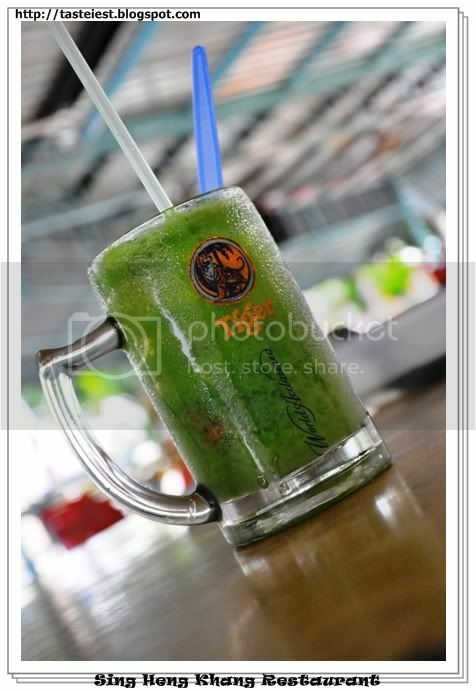 Ampla Juice with Sour Plum, great amount of Ampla has putting into this cup make it so flavorable. 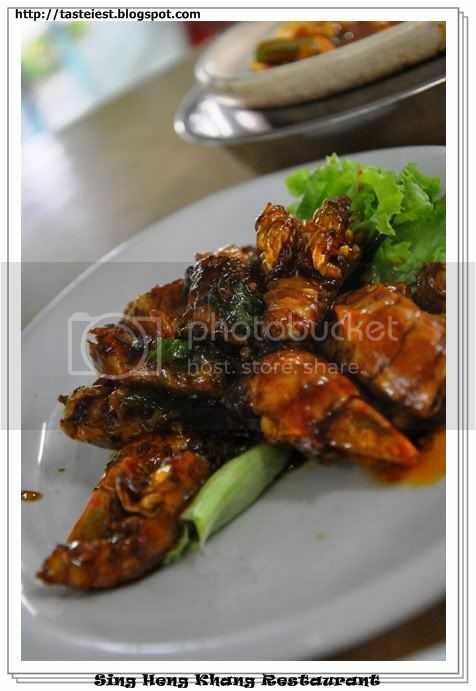 Kam Heong Mantis Prawn, fried mantis prawn and dried shrimp with Kam Heong sauce. 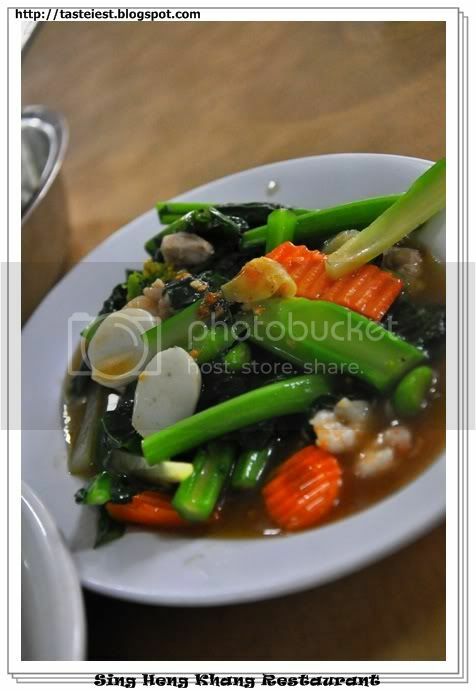 Tasty and mantis prawn side cutting has ease our eating. 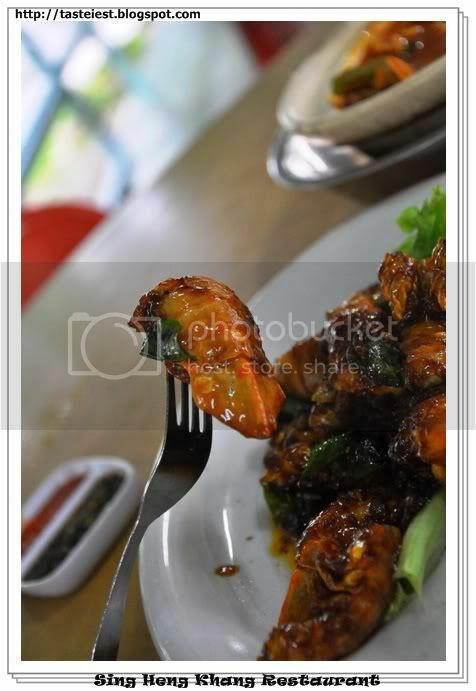 They cut the mantis prawn into half, which is a smart move to ensure mantis prawn absorb the Kam Heong sauce. Curry Fish Head, very strong curry powder flavor and I not really like the fish head which chop into small pieces but luckily the fish head is fresh. 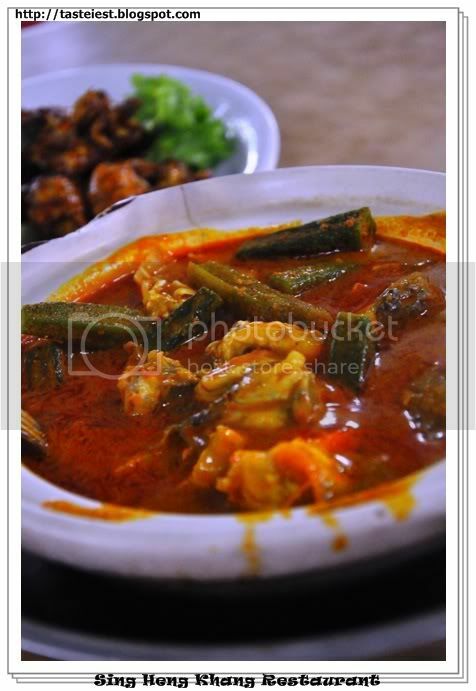 It cost RM33 for the meal, price is reasonable. Sorry for the not updated google map, I can’t do much to ask Google update their map so I come out below manual direction and I hope it help. It started from Parit Buntar Clock Tower which is pretty easy to spot on. the restaurant operates from 6pm to 10pm..but if u go at 9pm, chances r, they will tell u not to wait, and come again another day..because there r still many guest to be served..